Eoplly New Energy Technology was established in 2006 and it focuses on the research, development, manufacturing, marketing and assistance of photovoltaic modules, solar cells, solar tracking solutions, compact solar chargers, off-grid and on grid solar power systems, and other photovoltaic solutions for a wide variety of applications, servicing thousands of customers around the world. Two of the main products manufactured by Eoplly are the 125mm series generating between 160 - 200W, and the 156mm series, that is able to generate between 210 - 300W. These solar panels and modules, thanks to an 18.1% efficiency, over time, proved to be very reliable and cost effective renewable energy solutions. Eoplly’s production line is now able to bear a 300MW manufacturing capacity of solar modules and around 180MW of solar cells, thanks to its highly competitive German-made manufacturing process that guarantees top-notch quality. Eoplly’s solar systems consistently pass the most stringent tests in order to be granted with ISO9001:2000, KSC, TUV, UL, MCS, IEC, CGC, CE, and a lot of other certificates from Asia, America and Europe being also an active PVCYCLE member. If you want to find out more about Eoplly wide line-up of products, simply read the solar panels reviews you can find here below, or look for the perfect product for you among the ones listed below. The solar panels are very effecient and we had no problemsor concerns with them. We have not had any problems so far. Everything seems to be working well. Whilst we have no problem with the Solar Panels, the positioning of them and the subsequent Customer Service by Mark Group, is of grave concern. Several months after installation of our solar panels, we noticed staining on our ceiling directly below where the panels were installed. On inspecting the positioning of the panels, it was discovered that they were angled and pointed directly at the ridge capping of our shallow pitched metal roof. Mark Group, the company we engaged to supply our system, were advised and they accepted that the panels' positioning was causing the roof to leak during heavy rain. That was 4 months ago and several plumber/electrical installers' professional opinions later. Despite all the evidence and admission, Mark Group have not rectified the problem or repaired our damaged property that now includes water damaged kitchen cabinets. Regrettably, we have had to complain to the Victorian Building Authority to have the matter resolved. 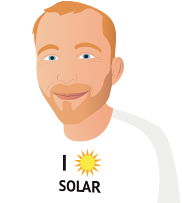 I have a 1.5 kw inverter and have been running since 12 Dec 2011 (876 days), and have generated 6,444 kWh (average 7.4 kWh/d). I am very pleased with the system. No problems at all, and my stats on PVOutput.org are up with the best. I would not use Eoplly panels again. I have a small corrosion problem on one of my panels and and my Dealer and I have tried unsuccessfully to contact Eoplly for weeks to glean any advice they have. They refuse to reply or acknowledge our emails. So much for the warranty!! !